The stock control solution from Intelligent Retail has developed and grown enormously since its beginning almost a decade ago. In 2002, brothers Neil and David Mackley began development of the Intelligent Retail Connect system, linking different selling channels together into one central stock control solution. Take a look at our different EPoS Solutions . Don&apos;t just take our word for it! See what our customers say by reading some testimonials . Neil has background as an IT developer and software architect, working with Shell and Logica. This experience has been pivotal in creating what is widely regarding the best stock control product for independent retailers. David also has background in IT, progressing into senior commercial roles with strong emphasis on marketing. Claire Crouch has a background in retail and her family owned several retail businesses. Because of her first-hand knowledge, Claire has been fundamental in driving the requirements for Connect from its inception. Having started development of Connect in 2002 then incorporated the business as Intelligent Retail Limited in 2004, the Connect stock control solution was launched the following year at the NEC in Birmingham. Now in 2011, Intelligent Retail has hundreds of customers all enjoying the benefits of this sophisticated retail system. What benefits can you get from an efficient stock control solution? With highly efficient stock control, a retail business can itself become highly efficient by saving tremendous amounts of time and allowing retailers to assess their business and make the right buying decisions. Intelligent Retail&apos;s solution allows retailers to sell across different selling channels, online and offline, seamlessly from one till. So selling from your physical shop, your website, Amazon and eBay becomes effortless- if stock depletes from one source, it will update the other sources almost immediately. So, you don&apos;t have to worry about more phone calls to customers to disappoint them with the news that you have no stock left. This stock control solution also allows retailers to run reports to analyse how well areas of the business are doing. It can also automatically replenish stock levels for you- when stock reaches the minimum level you set, it will order more of those products, saving yet more time which you can use elsewhere to improve the business. With a dedicated development team, Intelligent Retail are constantly innovating and creating new features to help retailers.  In September 2011, the Retail Systems Awards judging panel shortlisted independent card retailer RSVP with Intelligent Retail for the 2011 &apos;Supply Chain Solution of the Year&apos; category. This award recognises retailers who have introduced a supply chain stock control solution that helped the business manage stock levels, whilst also improving visibility across the entire organisation. Judges also assessed the cost-saving benefits of the solution. Intelligent Retail&apos;s solution is at the leading edge of stock control. A low cost and easy to use solution, it is packed with award winning innovation and is the simplest way to sell through multiple channels. Highly sophisticated, it will control the store&apos;s website as well as other online channels. It easily copes with the problems faced by today&apos;s retailers. Accordingly, retailers can deliver first class customer service every time, providing the most professional way to manage a multichannel business. Connect has transformed our business. Connect has helped us to easily keep track of stock levels and see which items are selling and which items aren&apos;t. That allows us to make better buying choices. We now buy in smaller quantities, more frequently which saves money. We are so impressed with the Connect Retail system, we all think it&apos;s brilliant!